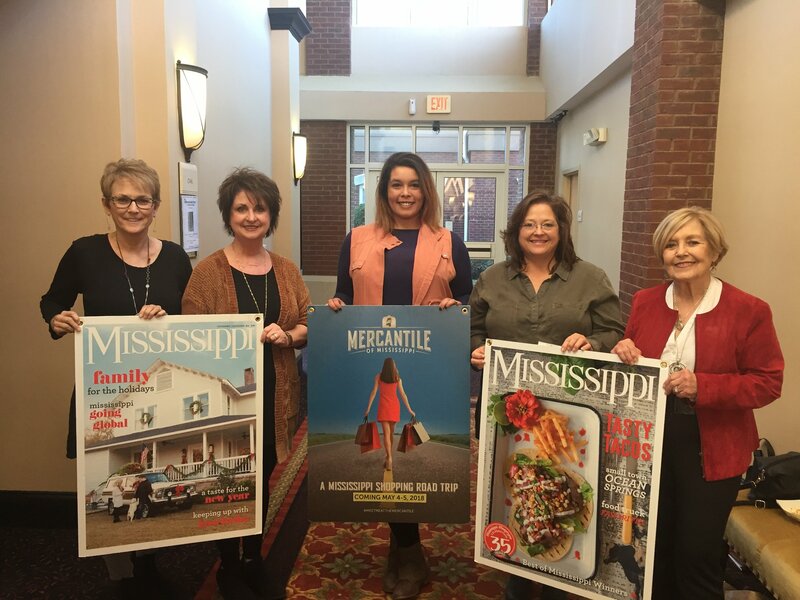 What began in 1977 as an experiment with the National Trust for Historic Preservation to save three Midwestern downtown cities has grown to become a national movement of which Mississippi Main Street is very proud to be a part. Since 1980, thousands of communities throughout the nation have joined the Main Street program and applied its Four Point Approach with successful, lasting changes. The Mississippi Main Street Communities are an excellent example of how the innovative framework of the Main Street Approach helps communities preserve their unique heritage while building a vibrant commercial district. In the 1950s, 1960s and 1970s, thousands of downtowns fell by the wayside. While communities were securing mass construction in areas such as housing and highways, Main Street was undergoing mass destruction. Empty stores, boarded up buildings and deteriorating structures lined the streets that were once the social and commercial center of American Life. By the late 1970s, community after community began to realize that modernization and progress left them with an empty space that downtown used to fill. Main Street as they knew it was gone and so was their sense of community. The desire to rekindle the lost community spirit was echoed across the country. Nationwide, efforts to take back Main Street were put in motion, but there was a desperate need for expertise and support. The need was soon filled by the National Trust for Historic Preservation (NTHP). In 1980, after three years of pilot studies, the NTHP established the National Main Street Center to provide the support and encourage the revitalization of Main Street based on historic preservation and sound business practices. To date, 46 states and more than 1,600 communities participate in the Main Street Program nationwide. In 1984, the State of Mississippi made the first attempt to start a Main Street program. This effort resulted in the designation of nine communities that were to receive technical assistance and guidance from the state program. An earlier budget crisis caused the collapse of this effort, leaving these nine communities with local programs and managers but no level assistance from a statewide program. Leaders and managers from these nine communities began communicating with each other, ultimately resulting in the creation of the Mississippi Downtown Development Association, a nonprofit organization. This provided an opportunity for these towns to band together, trying to solve their problems through this statewide association. However, lack of funding and staff made this organization a loosely knit core of volunteers and only fulfilled limited networking needs. Dedicated members of MDDA continued to pursue possible sources of funding for the much-needed state Main Street program. In July 1989, MDDA was successful in contracting with the Mississippi Department of Economic and Community Development to develop and implement a statewide Main Street program. Mississippi Main Street Association (MMSA) was created to provide technical assistance to member towns, which focused on issues embraced by the Four Point Approach of Main Street - Organization, Promotion, Design and Economic Vitality – that are designed to match resources available in their communities. The board hired Scott Barksdale, a downtown revitalization professional with 11 years experience both at the local and state level, as Executive Director to develop and implement a Main Street program. In March and April 1990, five application workshops were held across the state. More than 120 people representing 80 communities attended these workshops. In June 1990, the MDDA Board of Directors selected six official cities as demonstration communities for this program. At the same time, they pledged to continue working with the previously designated cities that had managed to keep their programs operating. In 1993, Beverly Meng was hired from South Carolina Main Street to be Executive Director of MMSA. Under Beverly’s tenure, the Main Street program grew rapidly from 16 programs to more than 40 programs. In 1998, Bob Wilson joined the staff as Director of Program Services. Upon Beverly’s retirement in 2007, Bob Wilson was named Executive Director. Steady growth has continued over the course of Mississippi Main Street's history. Currently, MMSA has 50 Main Street designated Communities, five Downtown Network Communities as well as numerous Association Members, Allied Members, and Friends of Main Street. With this rapid growth, MMSA has expanded its resources and consulting services to meet the needs and demands of the many programs. Trainings, technical services, marketing and advocacy are top priorities for member programs. Because of a strong Board of Directors and committed public and private partners and coordinated efforts, MMSA has been successful in reinvesting more than $4 Billion in public/private investment and assisting with the creation of more than 4,000 new businesses and 30,000 new jobs, and more than 2,000 buildings have been improved in the central business districts of towns and cities across the state. MMSA has been recognized by the National Main Street Center on numerous occasions as one of the top performing Main Street Programs. By utilizing MMSA’s expertise, resources and technical assistance, once badly deteriorating downtowns are becoming vibrant and viable, and are taking their rightful place as the heart, center and core of their communities. Join us today!